Noun dropping and mis-translations occasionally occurs with Machine Translation (MT) output. These errors can cause communication problems between system users. Some of the MT architectures are able to incorporate bilingual noun lexica, which can improve the translation quality of sentences which include nouns. 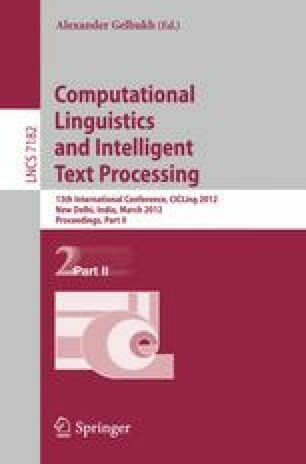 In this paper, we proposed an automatic method to enable a monolingual user to add new words to the lexicon. In the experiments, we compare the proposed method to three other methods. According to the experimental results, the proposed method gives the best performance in both point of view of Character Error Rate (CER) and Word Error Rate (WER). The improvement from using only a transliteration system is very large, about 13 points in CER and 32 points in WER.